Kongo nkisi nkondi power figure (mangaaka). Height: 118 cm. Image courtesy of the Metropolitan Museum of Art (2008.30). 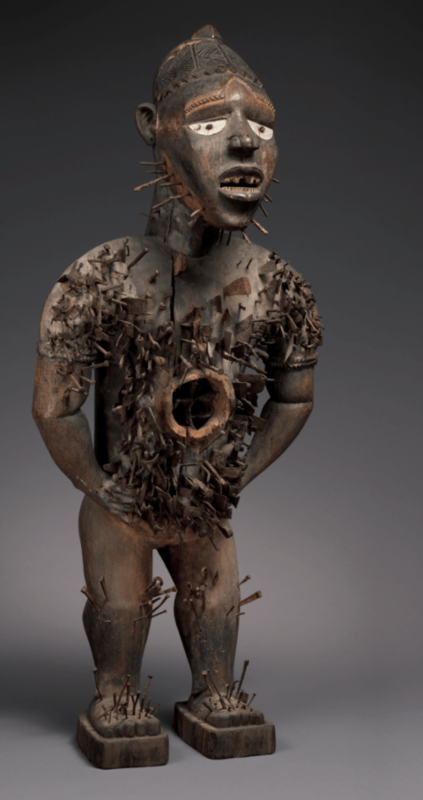 In 2008, the Metropolitan Museum of Art’s African Art department made a landmark acquisition: a highly important Kongo nkisi nkondi power figure, attributed to the Chiloango River Master, previously in the Kegel-Konietzko collection (info). Ever since, its commanding presence welcomes visitors entering the Michael C. Rockefeller Wing. The exhibition Kongo: Power and Majesty, running from September 2015 to January 2016, will for the first time assemble twenty Kongo figures attributed to this artist. These nineteenth-century works will be historically grounded in relation to some 100 other Kongo masterpieces from both private and public collections. The exhibition will be accompanied by a catalogue; for now, you can already read Alisa Lagamma’s interesting article about this figure and its maker in the Metropolitan Museum Journal here. A room full of these power figures surely will be an epic experience; many compliments to the Metropolitan for making the effort to temporarily reunite them. 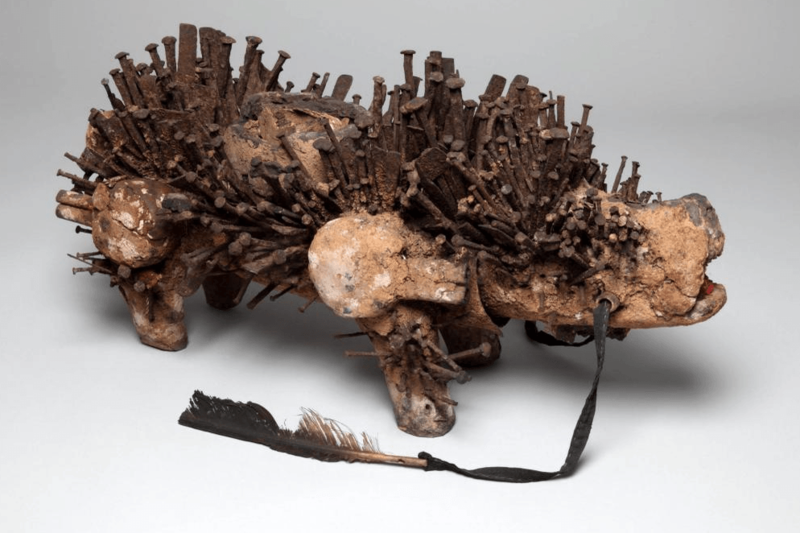 Kongo nkisi kozo dog figure. Image courtesy of the Manchester Museum. This entry was posted in Exhibtions, Museums, News and tagged Kongo on October 8, 2014 by admin.